Series EE savings bonds are issued with a cost that is one-half the face amount. For example, invest in a $100 savings bond and it will only cost you $50. The U.S. Treasury guarantees that your bond will double in value to reach face value after 20 years. If it's under face value at this point, the Treasury will perform a financial adjustment to bring it up to the maturity amount. The rate of growth in the value of a Series EE savings bond is based on the interest rate the bond is earning. Bonds sold since May 2005 earn a fixed rate until the bond is redeemed. What's special about these bonds is the U.S. Treasury guarantees the bond will double in value no later than 20 years after the bond is purchased. 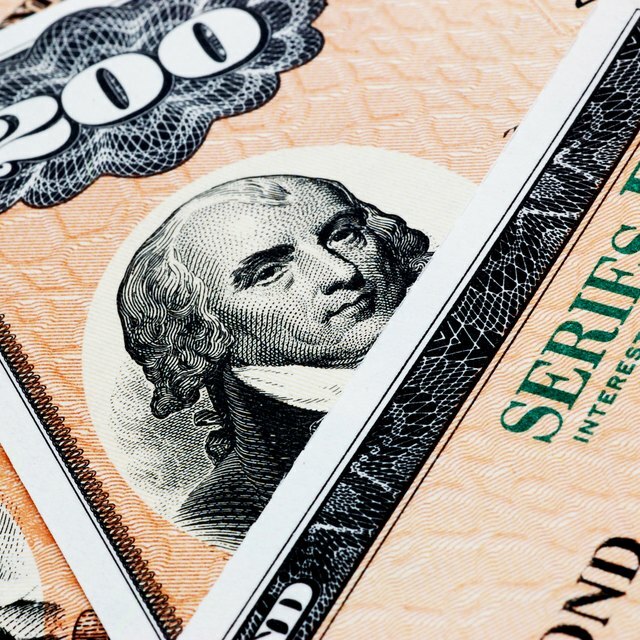 For paper bonds, this means a bond reaches its face amount in a maximum of 20 years. Series EE bonds accrue interest every month and compound every six months. Compounding, or earning interest on your interest, is what makes the value of your bond grow. Every bond comes with a redemption value based on the amount of interest it has earned and any redemption penalties. You're not permitted to redeem an EE bond for at least 12 months after it is purchased, however. If you redeem the savings bond within the first five years after purchase, you'll forfeit a penalty equal to three months' worth of interest. A Series EE savings bond continues to earn interest for up to 30 years if it is not redeemed. Even after a bond reaches its face amount at the 20 year point, interest is still credited to the value. Savings bonds older than 30 years should be redeemed as they are no longer earning interest. Can I Cash in a Series EE Bond Before It Matures? How Does a Savings Bond Mature? Series EE bonds issued before June 2003 have a different maturity date or age at which they reach the face value for paper bonds. This is a doubling of the original investment amount. The maturity ages for bonds issued between May 1995 and May 2003 is 17 years. The maturity for bonds issued from March 1993 until April 1994 is 18 years. Bonds issued between November 1986 and February 1993 matured in 12 years. Savings bonds issued when rates are low, as they were in 2008 through 2010, will not earn enough interest to double in value and reach the bond's face amount within the 20 year guarantee. For these bonds, the Treasury will make a one-time adjustment to a bond's value on the 20-year anniversary to bring the current value up to the maturity amount. The bond will continue earning interest from that point at the original rate. Investopedia: How Long Will it Take for a Bond to Reach its Face Value?